Greg Murphy, an inventive and versatile two-handed pianist with an epic sense of the pure and beautiful, is a formidable talent. Throughout his musical career, he has accumulated a vast number of stories, and those stories are woven into the fabric of his material. Bright Idea, his trio recording with Jeff “Tain” Watts and Eric Wheeler, comes together in a way that embraces all of the places Murphy has been, from his grinding, intensive study in New York, his time in New Orleans with Ellis Marsalis, his pop-funk days in Chicago, and his Latin jazz work with Raphael Cruz. It is a well and fully rounded musical adventure, rife with dimension and color, and his most fully realized recording yet. At this point in his career, we would expect no less. 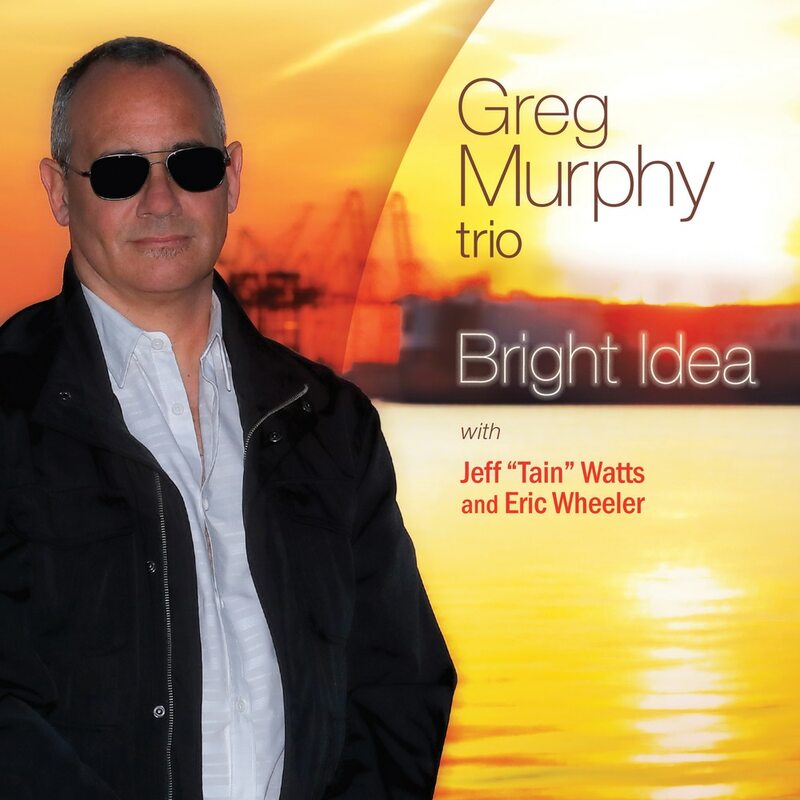 Recorded, produced and arranged by Murphy, Bright Idea features mainly originals, with a few exceptions, including a torrid rendition of the Pharrell Williams tune “Happy.” With Watts and Wheeler alongside, Murphy achieves an energetic vitality on the session, especially on tracks like the newly discovered Coltrane composition, “Untitled Original 11383,” a twelve-bar blues, and Joe Ford’s “Earthlings.” But throughout the album there is generosity, reciprocity and the desire to make memorable and triumphant music. Bright Idea, Greg Murphy’s second Whaling City Sound project and fifth overall, is his strongest statement as a leader and his most beautifully played collection of stories. Now swinging with the best, Murphy has come out the other side of life’s challenges and is now destined, even determined, to find his place in the pantheon of jazz piano.